Home › News › April Showers? Get out of the rain at Voyageur Brewing Company. It’s that time of the year when the ski trails get a little too soft for skiing and the hiking trails have a little too much snow to hike on. It’s an in between kind of time where both the shovel and the rake sit side by side. You probably won’t need or get to use either of them but there they sit just in case. 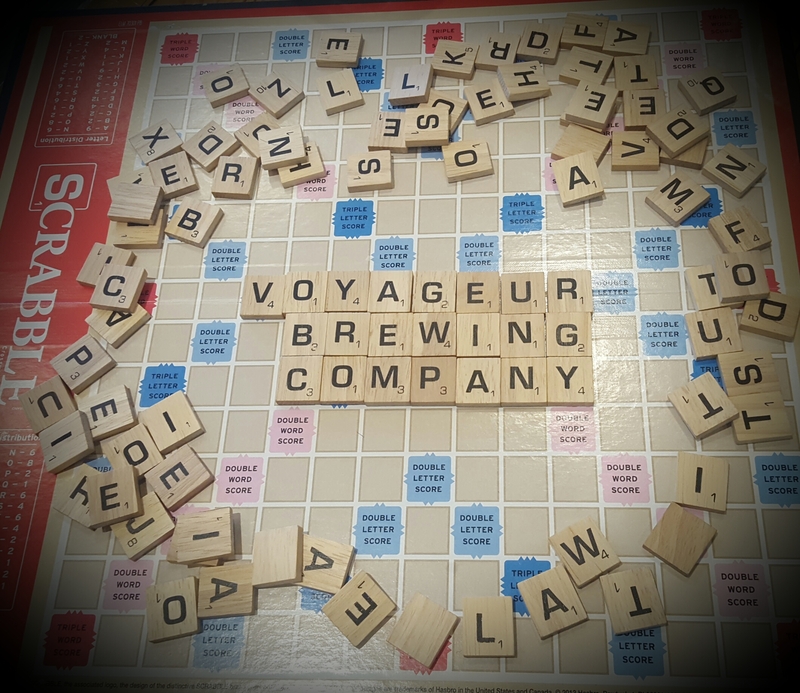 The good news is we have plenty of things planned at Voyageur Brewing Company for April whatever the weather may be. 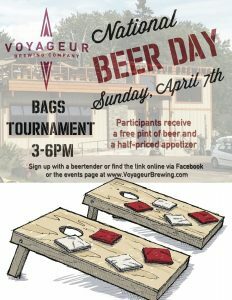 We’re celebrating National Beer Day on April 7th with a bags tournament. A free beer and a half-priced appetizer for all participants and a $50 gift card to Voyageur for the winners. 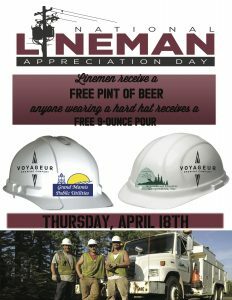 Next up in April is Lineman Appreciation Day when all linemen receive a free pint of beer. Folks who want to show their thanks or support to linemen can wear a hard helmet and receive a free 9-ounce pour of their favorite beer. 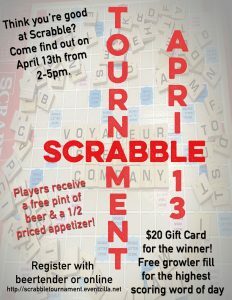 Get a free growler fill on Saturday, April 13th during our Scrabble Tournament if you create the word “oxyphenbutazone.” The word hasn’t been used in a game yet but if you succeed you’d receive 1778 points, surely the highest scoring word of the day. If you want to make three letter words that’s fine too, just come play. You can sign up online in advance if you’d like. 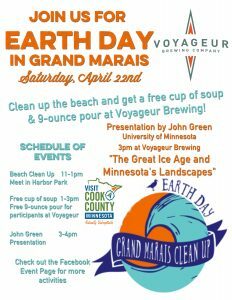 Come spend the weekend before Earth Day in Grand Marais. You can help clean up the beach and listen to a presentation by John Green at the brewery. All participants of the clean up receive a free cup of soup and a 9-ounce pour of beer. 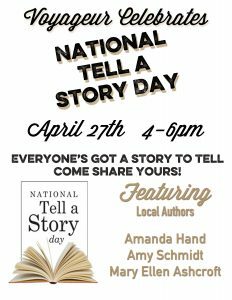 Last but not least is Tell a Story Day on April 27th. We’ll have some local story tellers sharing their story and anyone else who wants to tell theirs is welcome to speak. We hope to see you at Voyageur Brewing Company this April!